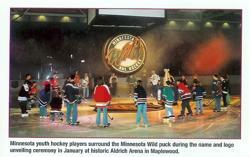 The Aldrich Ice Arena located at 1850 N White Bear Ave in Maplewood, MN is the current home of the Hill Murray Pioneers storied high school hockey program. 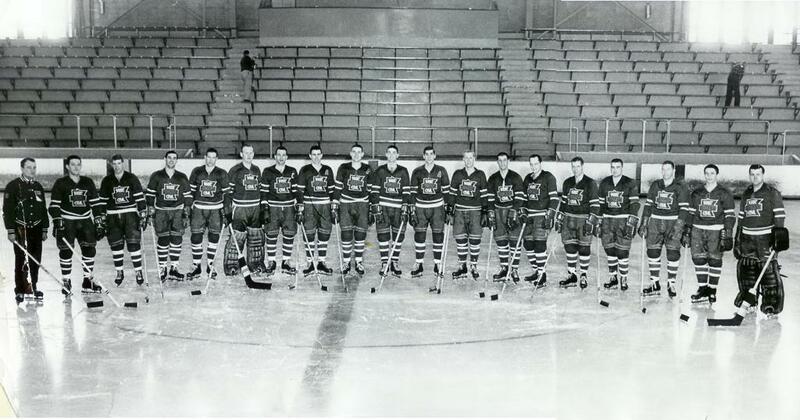 Aldrich Arena is named after the late Gene Aldrich, whom pioneered the Minnesota State High School Hockey Tournament in 1944. Built in 1962, Aldich is a classic venue, and a great building at over 46 years old. The arena has one regulation sheet of ice measuring at 200 x 85 ft. and is open year round. 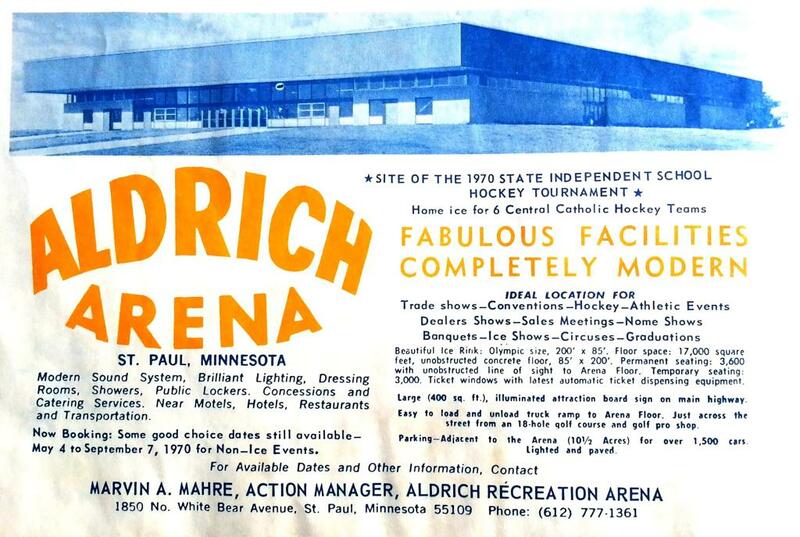 Aldrich Arena is Ramsey County's premier spectator ice arena. Aldrich serves as the perfect host site for more than 100 high school hockey league and play-off games. 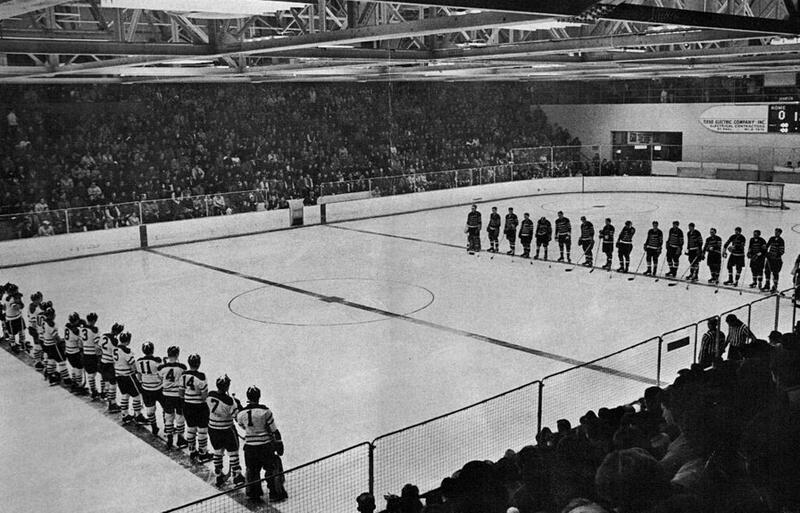 The arena went down in history when it also hosted the first two High School Girls' Hockey State Tournaments before moving into Ridder Arena on the U of M campus. Public open skating and long-blade sessions are offered at a variety of times. 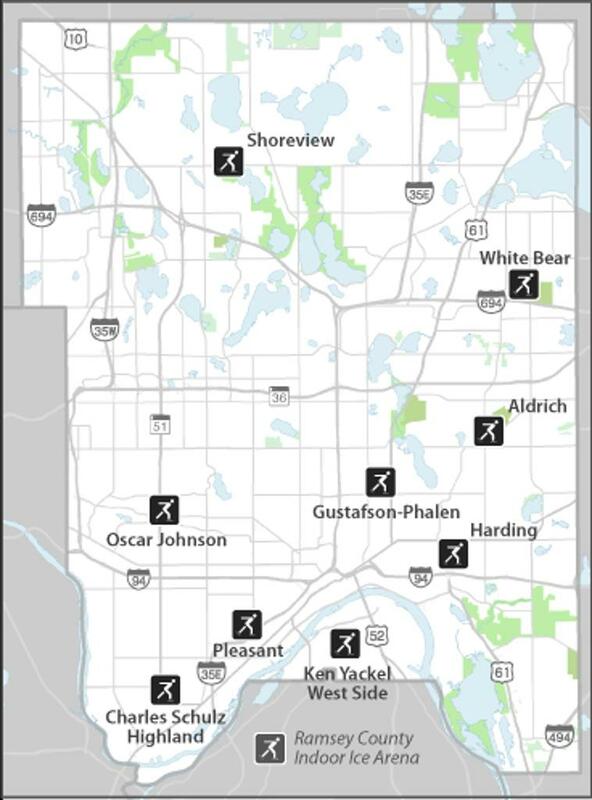 Aldrich also serves as the host site for the Maplewood Figure Skating Club. The Club provides group and private skating lessons, precision line and club activities. In addition to ice activities. Aldrich Arena is the perfect facility for large group events such as craft shows, conventions, sports events, trade shows, concerts, graduations, animal shows and much more. 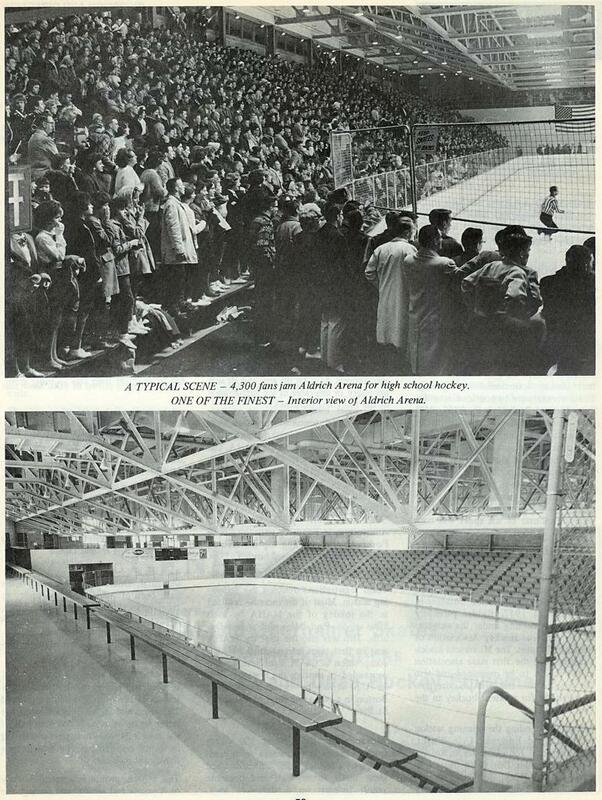 The defunct CPHL St. Paul Rangers utilized Aldrich Arena for it's home practice facilities, and occassional game play. 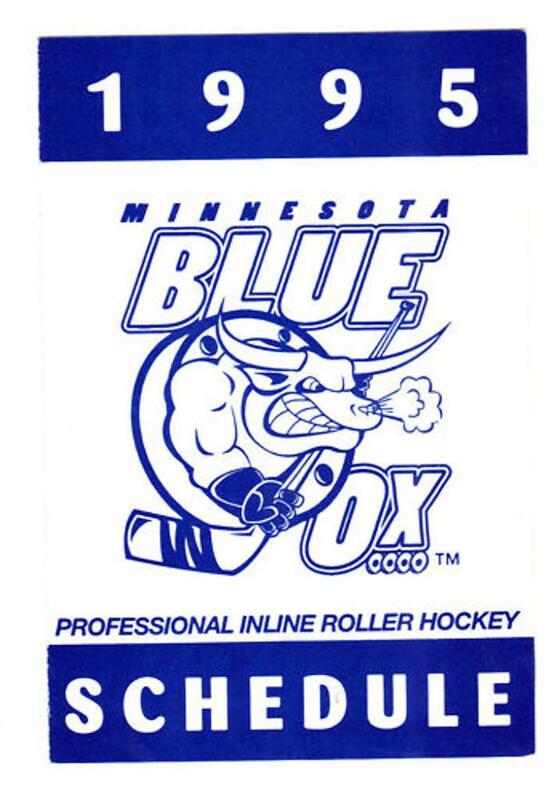 Back in 1995 - for it's inaugural and final season - the Roller Hockey International (RHI) Minnesota Blue Ox played 12 home games at Aldrich arena. Before the Blue Ox game action started fans were able to enjoy in-line skating on the concrete rink that helped the team sell tickets for its first and final season. In addition to hosting the Blue Ox, Aldrich was host to international roller hockey history when in 1996 the inaugural IIHF sanctioned in-line hockey World Championship tournament was held August 4-10th, that was eventually won by team USA defeating Canada 13-5 on August 10th. With the win, team USA went 6-0-0 finishing the tournament with the only unbeaten, untied record in the 11-team field. Aldrich arena was utilized by the NHL's Minnesota Wild for the official name unveiling. 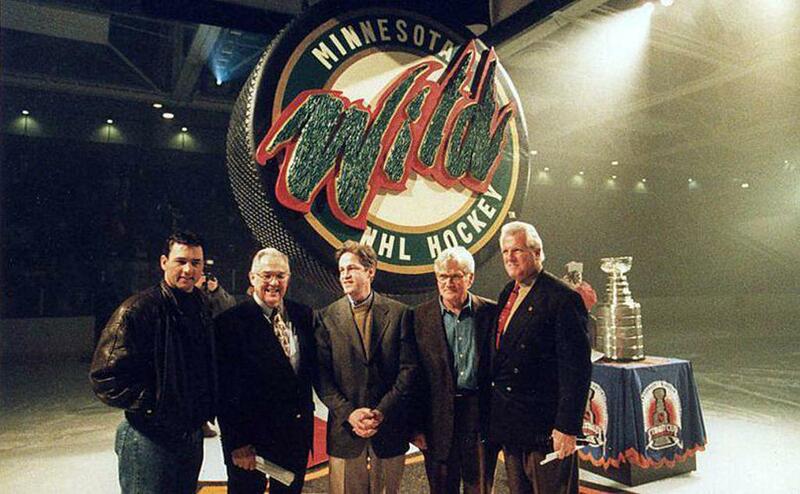 The announcement that the team would be called the Wild was made within Aldrich Arena on January 22, 1998 to a capacity crowd, with several dignitaries present including; Neal Broten, Tom Reid, Glen Sonmor, Mayor Norm Coleman and Minnesota Wild ownership. Several kids donning NHL uniforms encircled the center face-off circle, when a large faux puck with Wild logo on it was dropped from the ceiling at center ice. All together, Aldrich has seating capacity for over 3,400 with concert seating available up to 4,430. Exhibit floor space is 17,000 square feet (200' by 85'). Non-ice rentals are available from approximately mid-March through mid-October. In August of 2014, Hill-Murray school signed a 20-year lease with Ramsey County that provided Hill-Murray with their own facilities, but also locked in game and practice times for the boys and girls JV and Varsity teams. In addition to the lease, a remodel ensued to the west end of Aldrich Arena that consisted of: Two brand-new locker rooms - (JV and Varsity), coaching office, shower room, laundry facilities, weight room/stretching area, storage area for hockey equipment and accessories. Also included in the remodel, a elevator was installed to allow handicap access to the lower level - which had never been possible before. Hill-Murray school, and Head Boys Varsity Coach Bill Lechner raised over $700,000 to build the new facilities - with no added cost to the school or taxpayers. 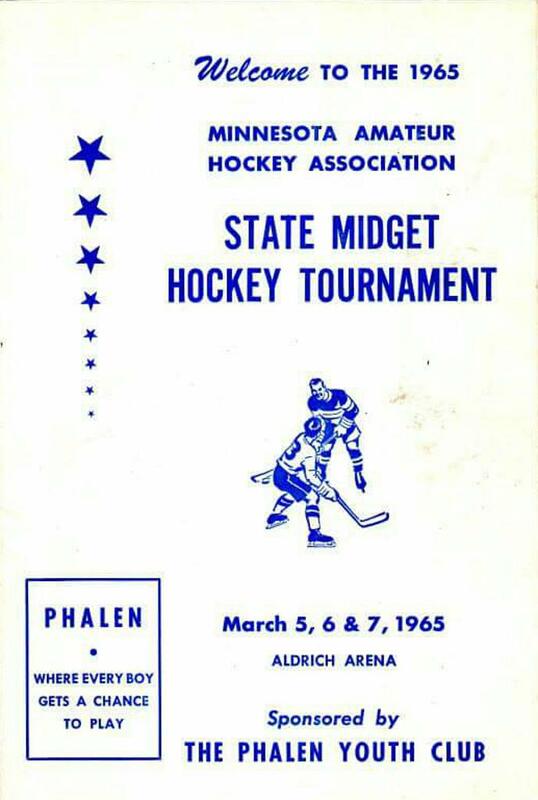 Upon every visit to Aldrich Arena in Maplewood it always brings back memories of Met Center in Bloomington, MN - former home of the Minnesota North Stars. Especially exteriorly since the Met Center was built atop a "man-made" hill and had a similar "box style" architecture to it. 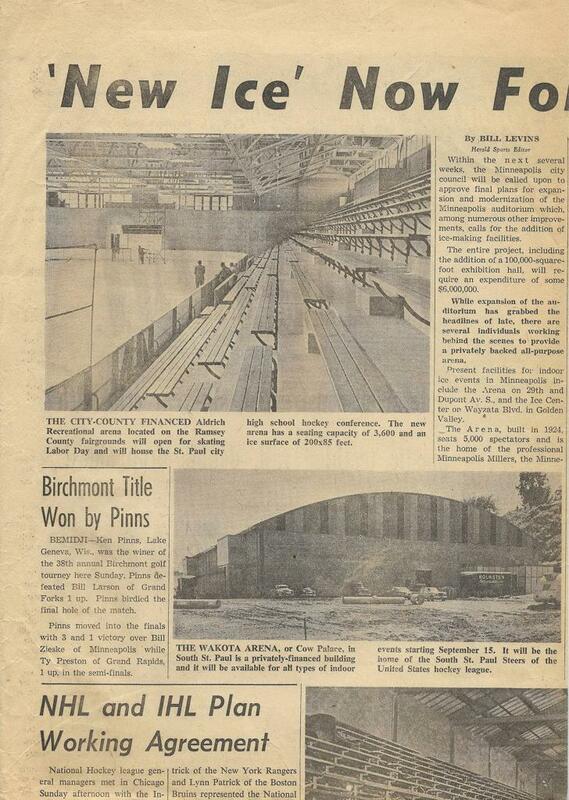 Who knows maybe the inspiration for the 1966-1967 built Met Center came from the 1962 built Aldrich arena?